Combine all ingredients (except the chicken) into a large bowl and mix thoroughly. All chicken and toss until well covered. Ever have a craving come out of nowhere? For some reason, that was me and chicken salad. Normally I just throw some mayo, dill and whatever else moves me into a bowl and call it a day. Today I decided to venture outside of my chicken salad comfort zone. Actually, that's not true. It was more like I was forced outside of my comfort zone. Truth is, I went to grab my dill and it was nowhere to be found. I had just used it yesterday for my smoked salmon and now it's gone. Ugh!!! So I took to the pantry in search of a replacement and found tarragon. What a lucky thing for me! 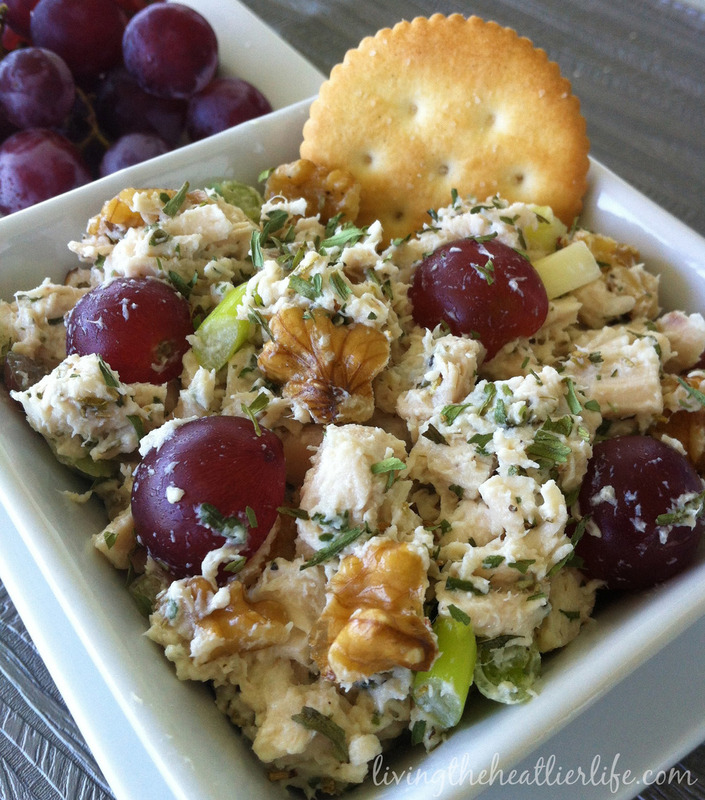 I threw the tarragon into my usual mix and what I ended up with what a yummy twist on my normal chicken salad.